I realize that this picture of my trash all neatly lined up makes me look completely insane. **This one is posted out of order, I meant to save a draft but, oh well. My mom and my mother-in-law are coming to visit in a few days and I won’t say that hasn’t revved up my purging production. Today is the result of what came from the window sill in the pole room, the top of the bookshelf, and three junk drawers. 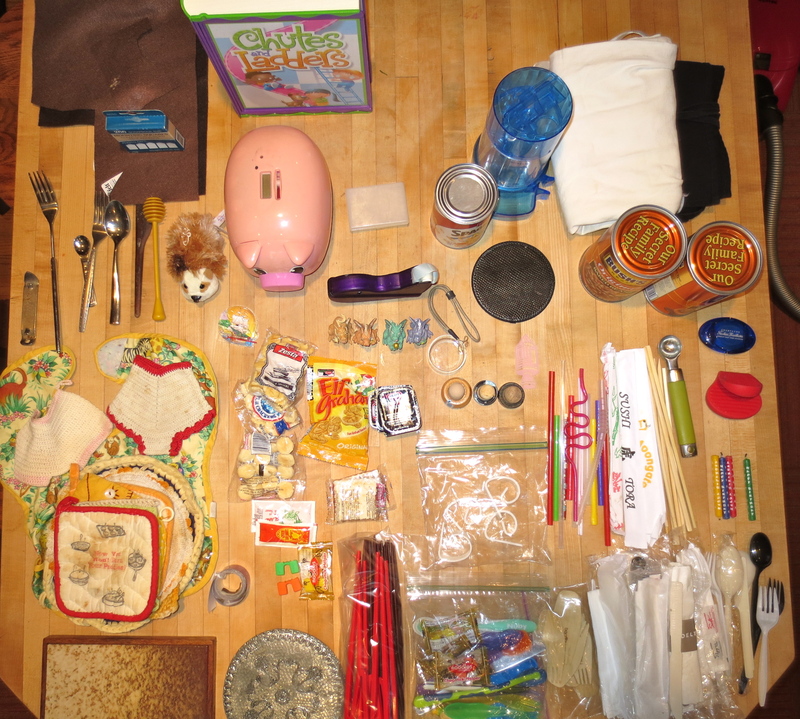 I counted this one by piles or large items. Jesus! 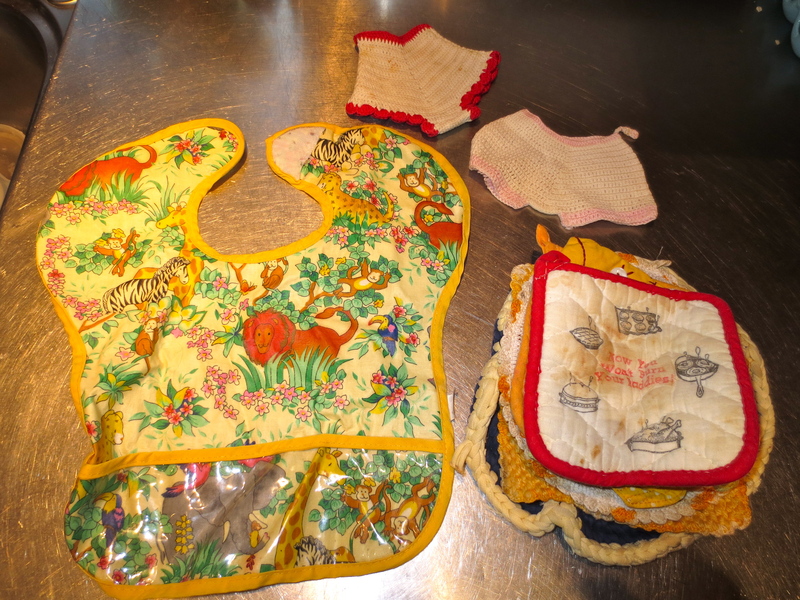 Another bib! And lots of nasty hot pads. The hardest to get rid of are the hand crocheted ones that look like tiny underpants. You know you want them. 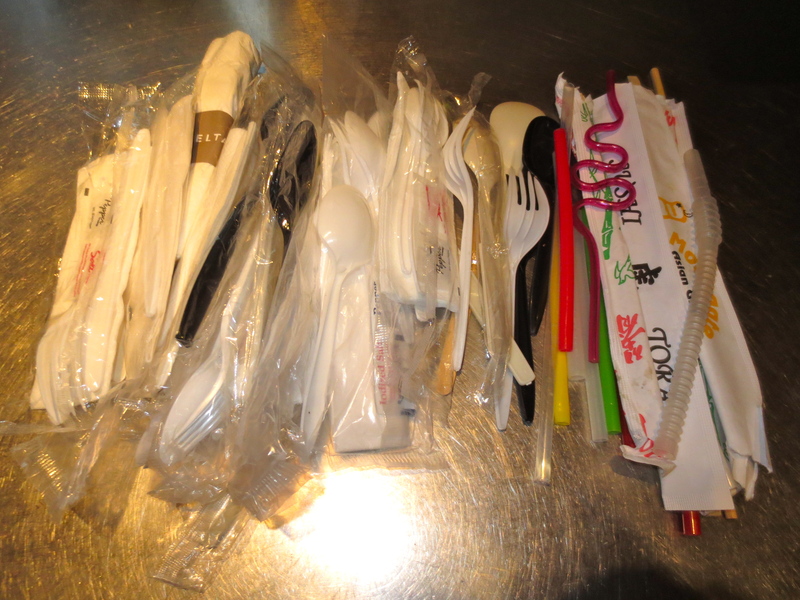 Each time we get takeout, the disposable utensils go in this one drawer. I despise plastic utensils and disposable dinnerwear. 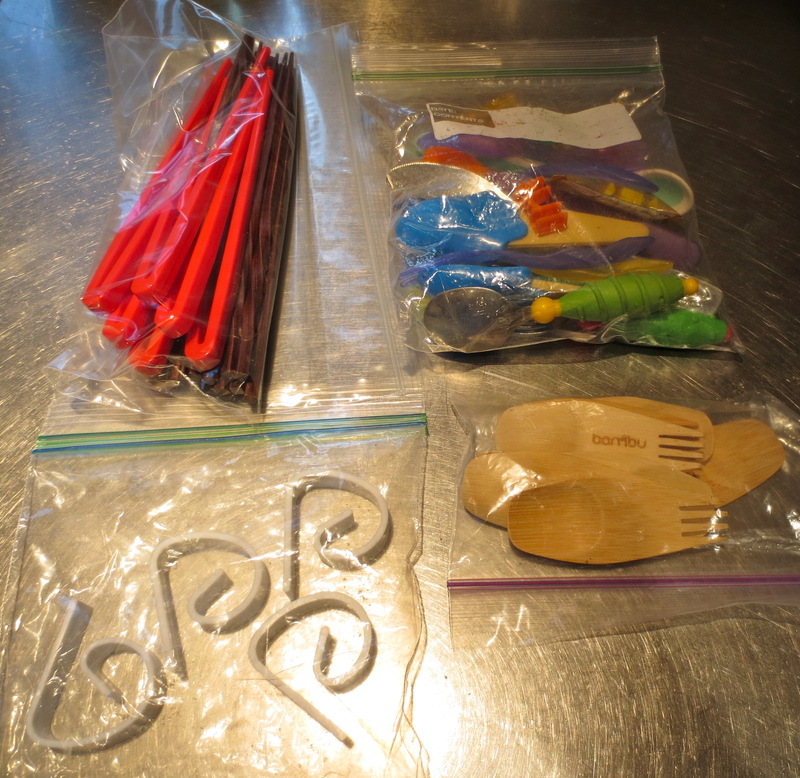 Chopsticks that are too pointy to use, kids’ chopsticks, these neat-o bamboo compostable sporks, clips to hold the tablecloth onto the picnic table and baby spoons. 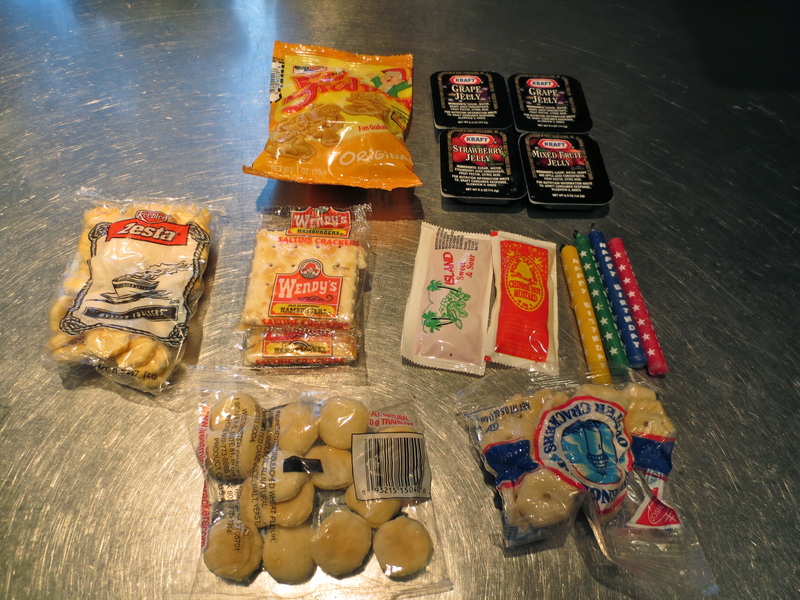 Old crackers and jam. Lonny eats at Wendy’s not me. 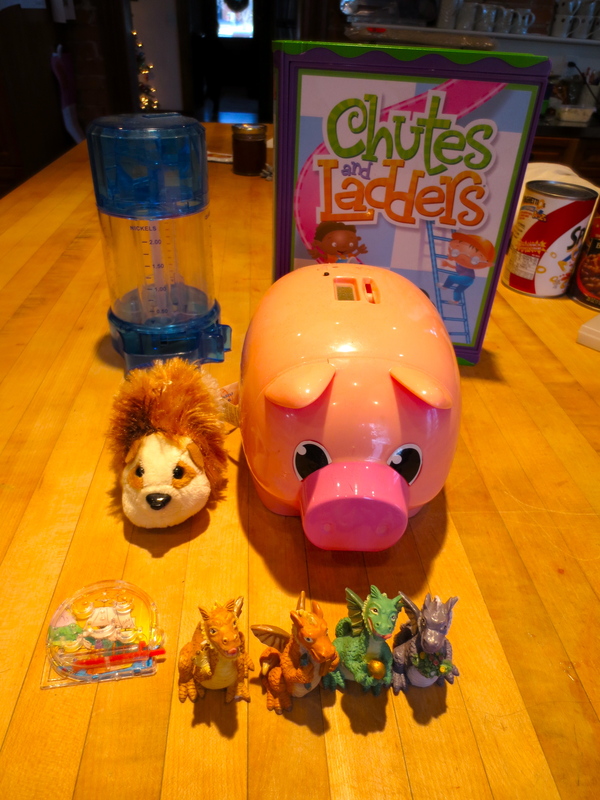 A dead Zuzu pet, a Chutes and Ladders game, dragon figurines, a piggybank that counts money and has a cracked ear, and a change sorter. These came from the living room. FREE. 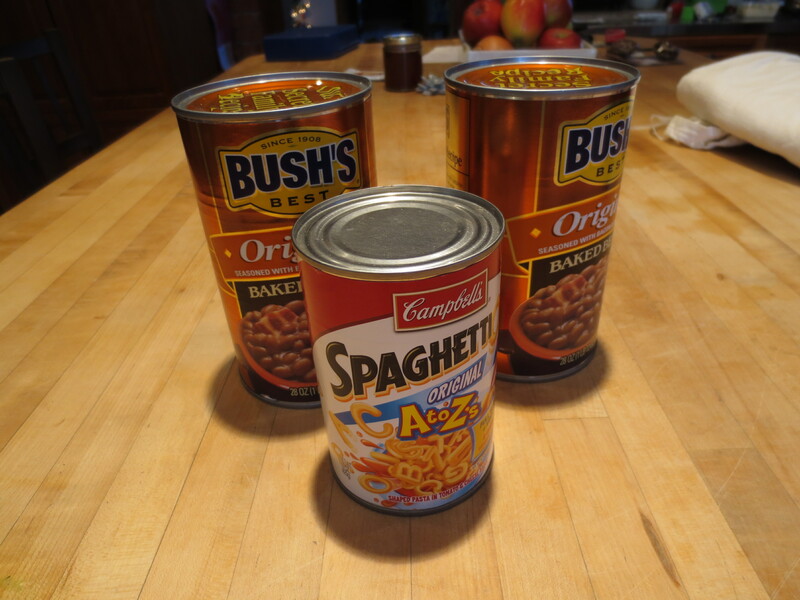 I was forced to take home the cans of beans from a BBQ. FORCED! I have no excuse for the Spaghetti-O’s except I was feeling nostalgic. My kids would have nothing to do with them. Don’t judge. 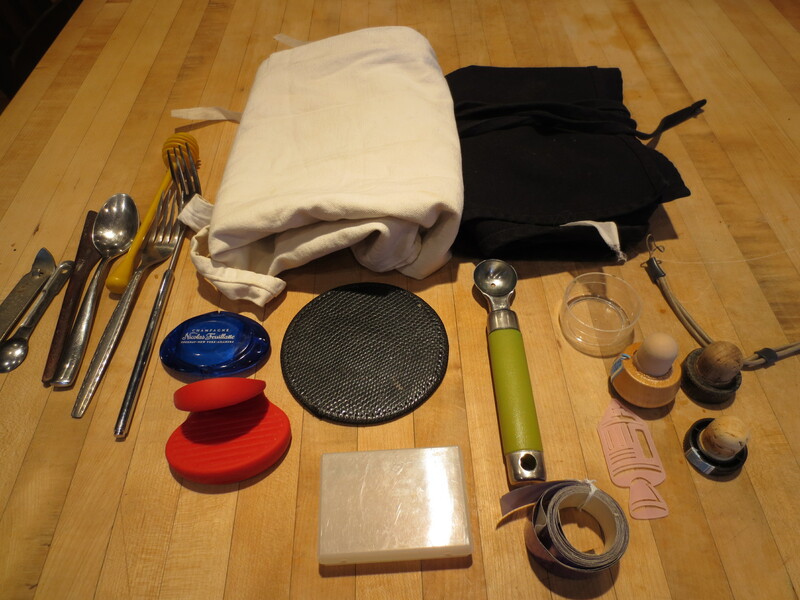 Two aprons, mismatched flatwear, the dumbest hotpad silicone thing ever, stoppers and a telescoping fork. 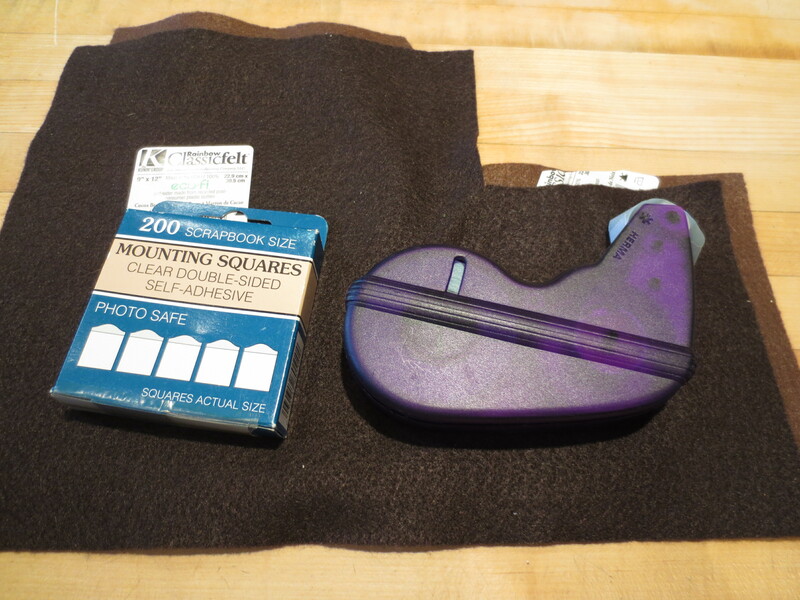 Felt, mounting squares and a mounting square dispenser. 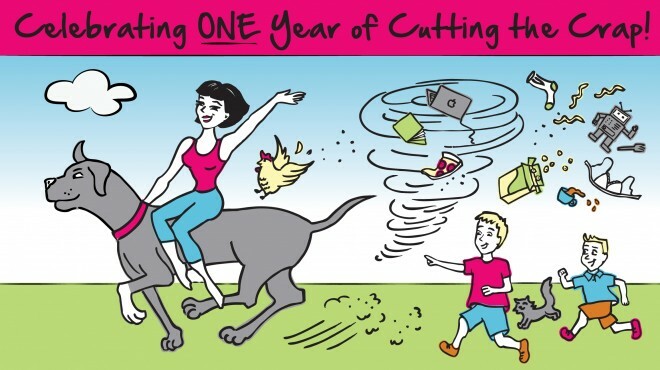 Thank God the days of scrapbooks are over and I can just make albums on-line. My crazy former housemate, and not in a colorful way. She looks normal, doesn’t she? I thought so, too. 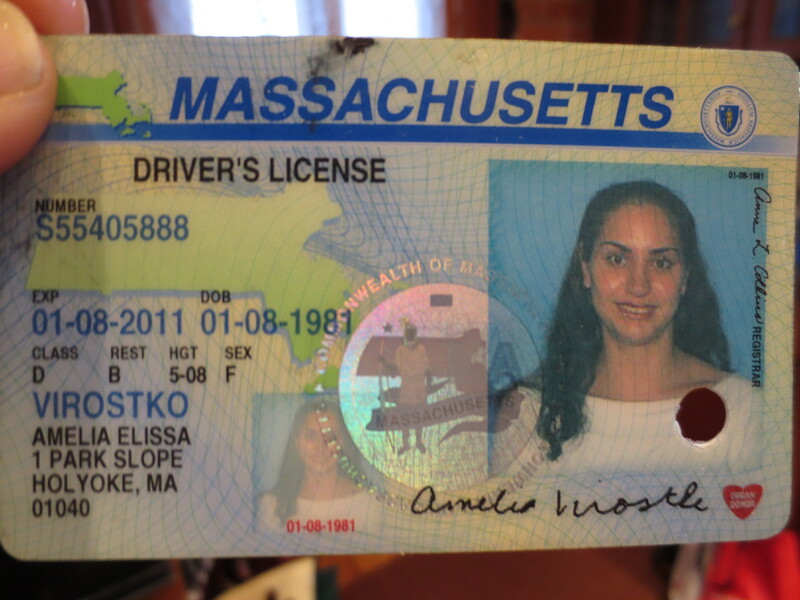 I think I’ll hang onto this. This entry was posted in Project3650, Uncategorized and tagged aprons, disposable cutlery, hoarding, hot pads, purging, take-out. Bookmark the permalink.